People talk about the weather wherever you are. Although when you're up here in Newfoundland, driving past 10 foot piles of snow everywhere, and then everyone you see says 'we're in for a winter storm tomorrow' it is probably worth taking note. 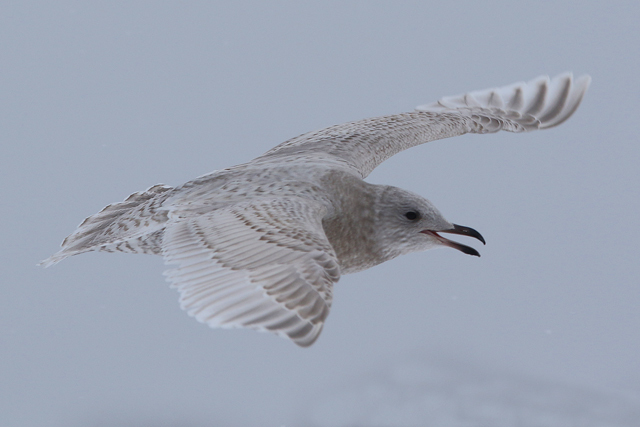 And so with tomorrow (Tuesday) potentially a white out, we made the most of today's calm (though dull) conditions. 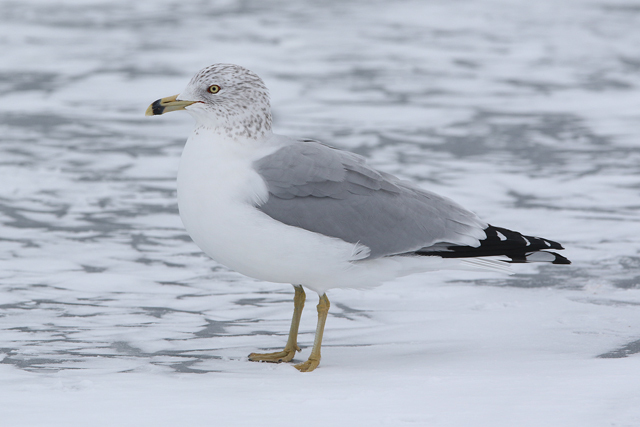 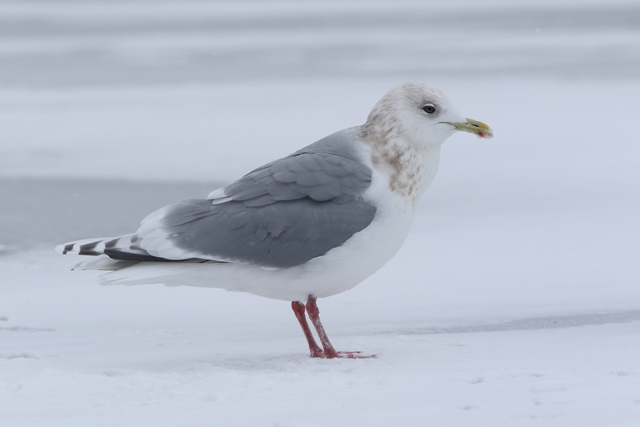 With things back to normal after the weekend, there were loads more gulls about at Quidi Vidi Lake today - mainly due to the landfill at the top of the hill back in full swing. 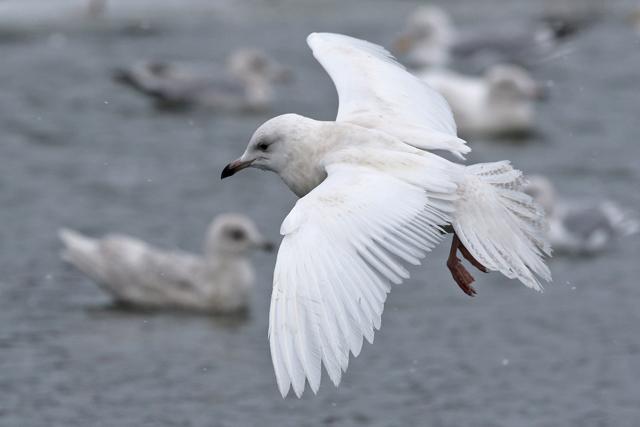 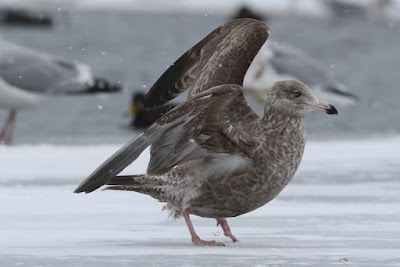 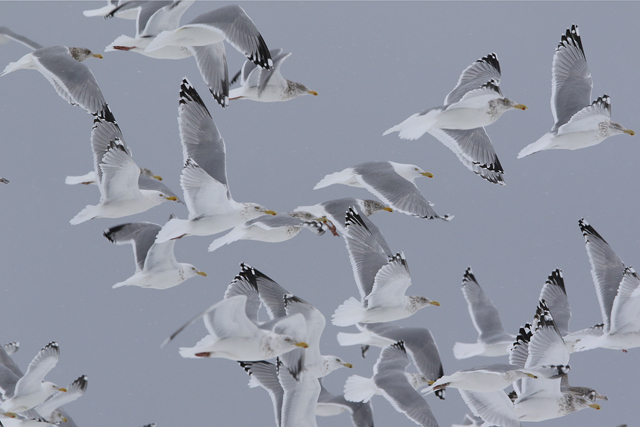 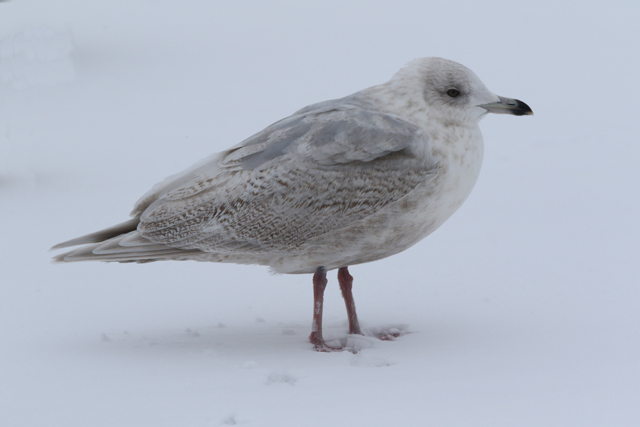 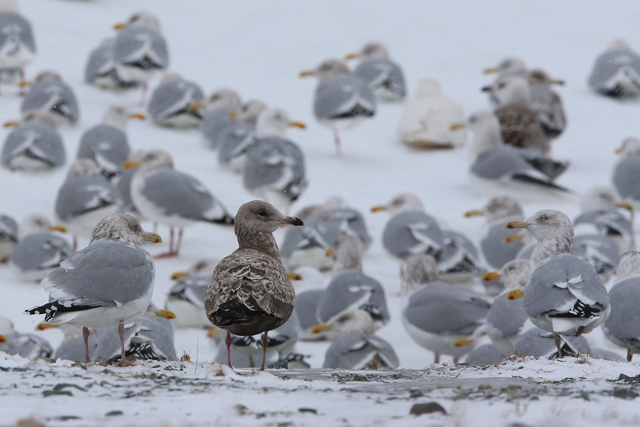 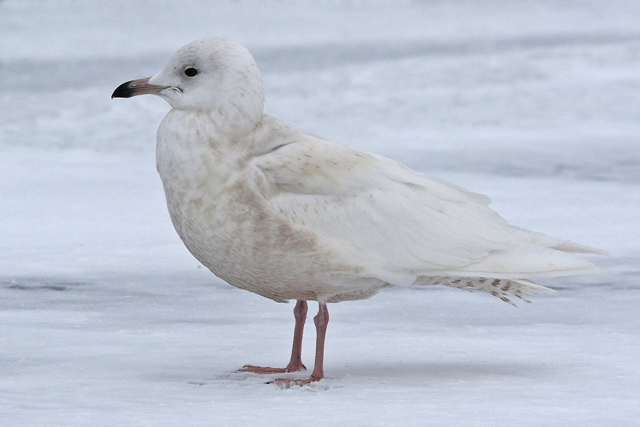 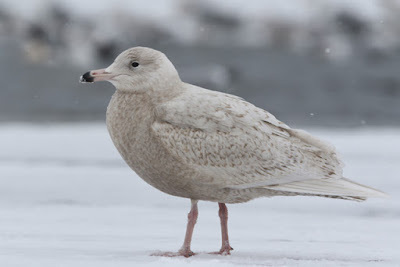 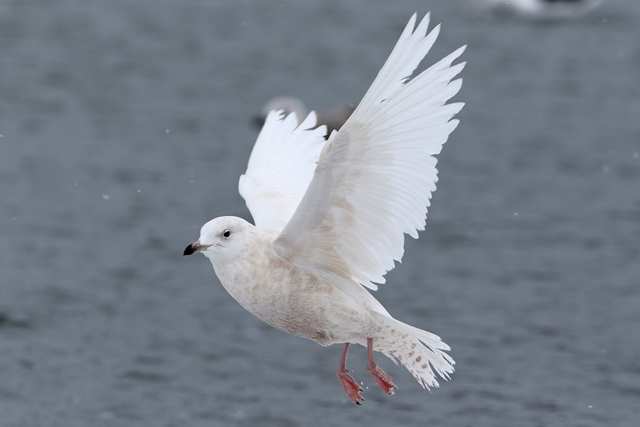 Among the hordes of American Herring and Kumlien's Gulls, there was a large increase in the number of Glaucous Gulls; probably in excess of 20 birds, with the great majority being big white juveniles. 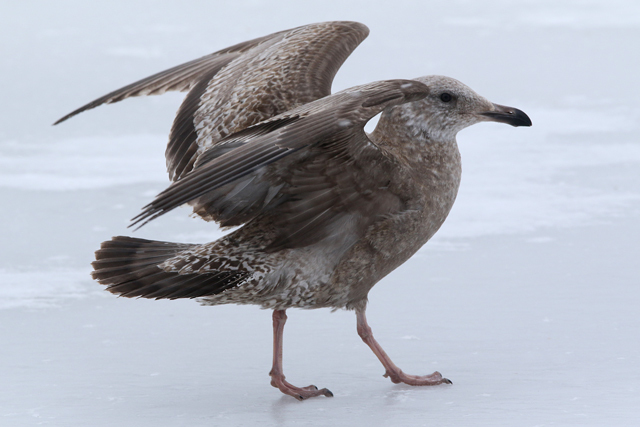 It wasn't just about the gulls. 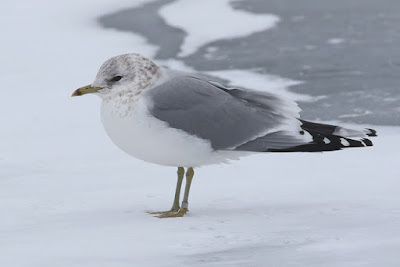 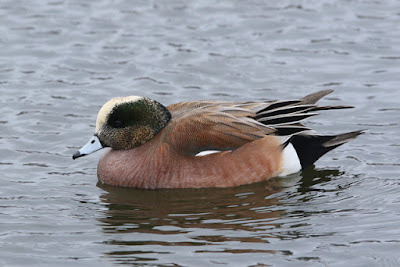 Quidi Vidi, like all of St. John's parks where there is freshwater, provide a haven for wildfowl and there were a couple of Eurasian Wigeons, ten or so American Wigeons, three Goosanders (Common Mergansers), a dozen Tufted Ducks and loads of Black Ducks, Mallards and hybrids. 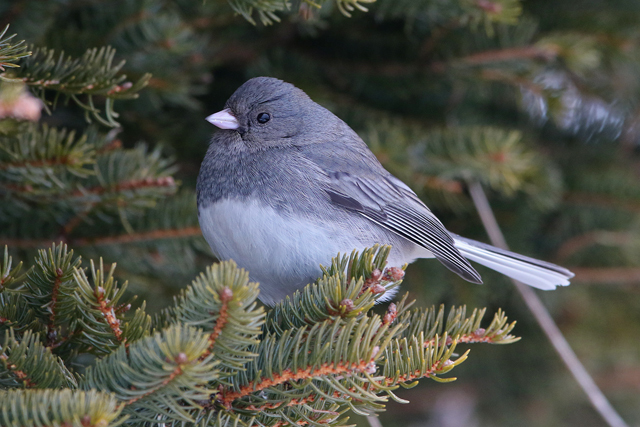 Slim pickings on the passerine front understandably, with a single Red-winged Blackbird still living through the freeze along with those hard fellows, Song Sparrows and Dark-eyed Juncos.